PUPPY CLASSES & PUPPY SOCIALS ARE INTENDED FOR PUPPIES 8 - 14 WEEKS OF AGE. PRE-REGISTRATION IS REQUIRED! 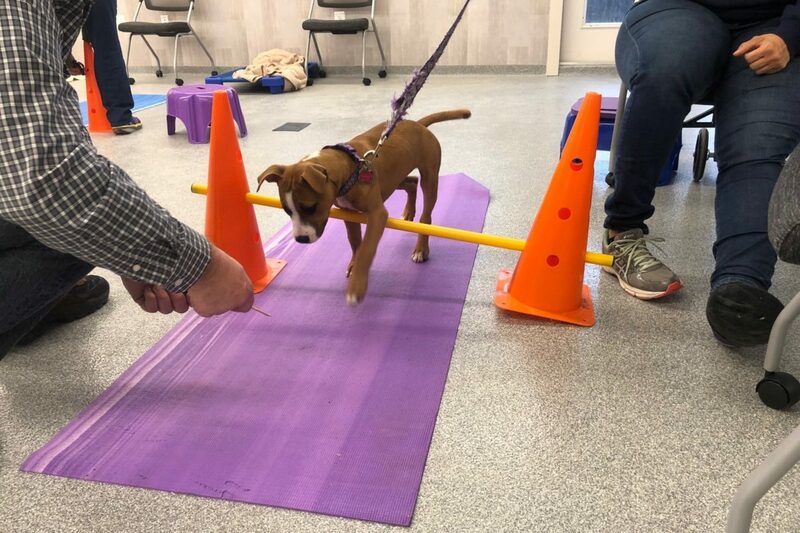 Mount Laurel Animal Hospital is now offering puppy socialization classes for puppies under 14 weeks of age (and their owners). The time between 8 and 14 weeks of age is a critical developmental stage for puppies. The lessons they learn during this developmental period (“socialization”) will affect them for life. One of the most important things you can do for your new canine family member is to teach them as puppies to accept and be comfortable with a variety of people, places, sights and sounds. Our goal is to help you set your new canine family member up for long-term success in your home, by ensuring they are appropriately socialized during this critical developmental stage. 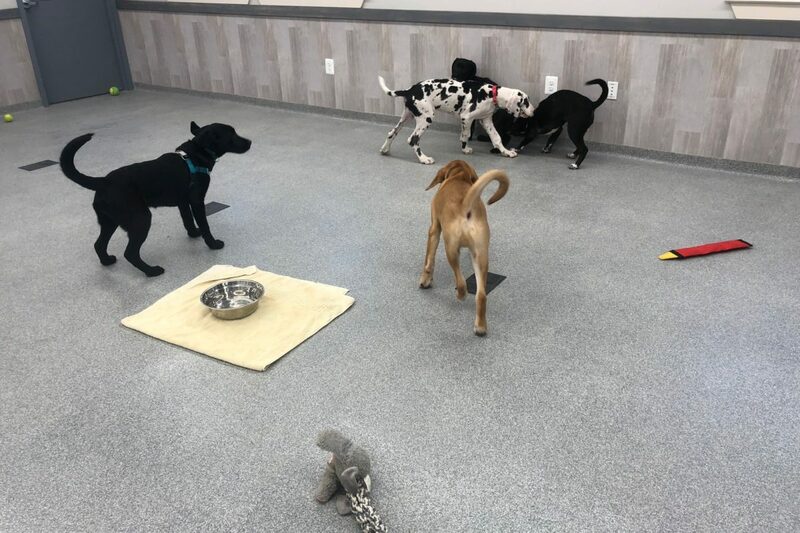 Puppy kindergarten serves to socialize puppies so that they learn to handle stress and new situations well as an adult. Additionally, the class will provide owner education in all aspects of canine development and behavior problem prevention and resolution. Owners can utilize this early experience to create a confident, comfortable and loving member of their household and community. 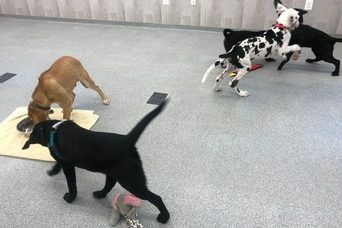 The series includes an orientation (without puppies) and five, one-hour puppy socialization classes held at Mount Laurel Animal Hospital. Classes are held on Sunday at 8am unless otherwise noted. 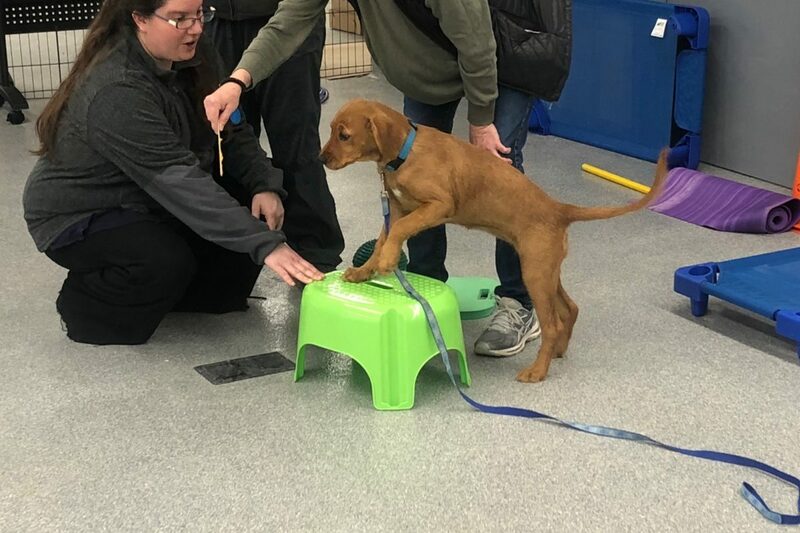 All puppies under 14 weeks of age (at the beginning of class) are encouraged to join puppy kindergarten. Owners may bring family members, including children (as long as they are 3 years of age or older) to class. If bringing a child to class, a second (supervising) adult should attend to ensure safety for the child and the puppies attending class. Socializing puppies is critical, but should not be done at the expense of their physical well-being and health, therefore, to ensure that all puppies are healthy and protected from infectious disease, each puppy must be properly vaccinated (for their age) and examined by a veterinarian at least 7 days before the start of class. A veterinary health form for proof of exam and vaccination, to be filled out by a veterinarian, can be obtained by downloading the form online. Bring this form with you to the first day of class. The cost for the entire 6 week course is $300. Payments can be made by credit card over the phone. You will be contacted by phone or e-mail to confirm registration. A final confirmation of your puppy's enrollment will be sent no later than one week prior to the start of class. Please email socials@mlahvet.com with questions concerning the class or registration. Have your veterinarian complete the veterinary health form and bring it to the first day of class. Day one of class is for owners only - No puppies please! Puppy socials are subject to change and cancellation due to inclement weather. Please call the hospital to confirm your social prior to arriving for your session. Do you have a new puppy between the ages of 8 and 22 weeks? Join us for Puppy Socials to provide your puppy with valuable socialization to set them up for success in your home! What is a Puppy Social? 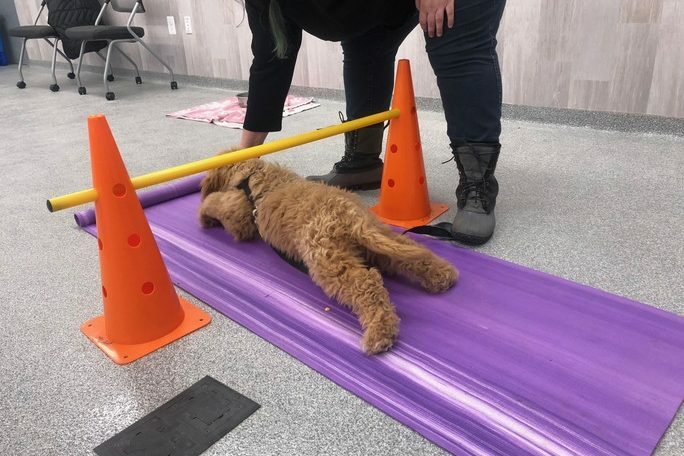 This is a half-hour session with board certified veterinary behaviorist Shana Gilbert-Gregory or certified trainer Carol Creamer designed to set your new puppy up for success as an adult. Dr. Gilbert-Gregory and Carol will review how to socialize your puppy safely and effectively to new people, animals and the environment. Socialization is critical to ensure your puppy grows up to be a confident, well acclimated adult. Dr. Gilbert-Gregory and Carol will answer your questions about puppy behaviors and help facilitate positive interactions between your puppy and the other puppies and puppy parents attending class. 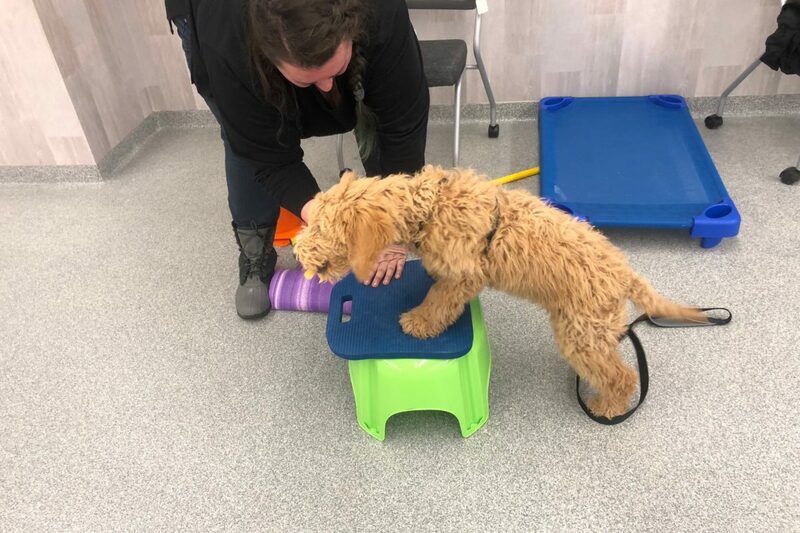 Puppy socials are designed to help you and your family receive basic guidance on puppy challenges you are having without making a commitment to the 6-week puppy kindergarten class. 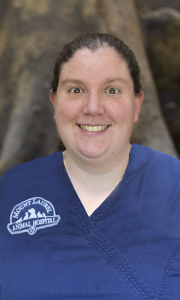 Ask Dr. Gilbert-Gregory about house training, chewing, mouthing, jumping or other behaviors that you need help with an give your new canine family member the chance to play and interact with other dogs and unfamiliar people. Come to a single session or come to each session until your puppy it too old to attend any longer (22 weeks of age). Puppy socials will give you and your new puppy the tools to have a long, successful relationship.